Marketers need to recognize that determining lead criteria is only the first of many steps they can take to enable their sales teams. New enhancements to CRM systems are driving truly evolutionary changes in marketing's relationship to sales. 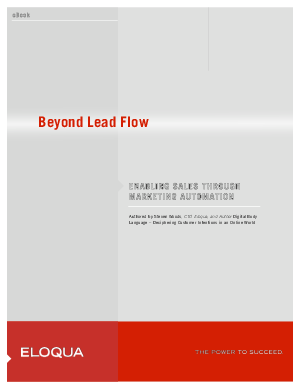 This paper explores five areas where marketers can employ marketing automation to deepen their relationship with sales and help sales identify, manage and close deals.